Leemore Dafny, Donald P. Jacobs Scholar in Management and Strategy Professor Dafny teaches business strategy, studying the industrial organization of health care, strategic investment decisions and public insurance programs. 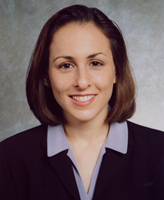 She has worked for the National Bureau of Economic Research and as a consultant for McKinsey & Co. She earned a PhD in economics from the Massachusetts Institute of Technology. Kent Grayson, associate professor of marketing Professor Grayson researches trust, authenticity and deception in marketing. He also studies direct selling and teaches marketing and brand management. Before joining Kellogg, he was on the marketing faculty at London Business School, where he was also director of the London Business School Centre for Marketing. 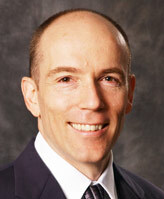 He holds BA and MA degrees from the University of Michigan and a PhD from Northwestern University. Karsten Hansen, Donald P. Jacobs Scholar in Marketing Professor Hansen studies econometrics, panel data models, discrete choice models and database marketing. He teaches marketing research. Current projects include a working paper titled “Ordered Discrete Choice Models with Stochastic Shocks.” He holds an MA in economics from The University of Copenhagen and a PhD in economics from Brown University. 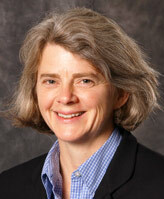 Therese J. McGuire, professor of management and strategy Professor McGuire’s areas of expertise include state and local public finance, fiscal decentralization, property tax limitations, and regional economic development. 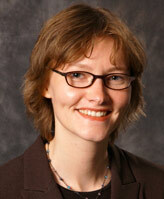 She has written about and worked with various governments on tax reform and on the impact of taxes on economic growth. Her recent publications have appeared in the National Tax Journal, the Journal of Urban Economics and the Journal of Public Economics. She holds a PhD in economics from Princeton University. Joseph L. Pagliari, clinical assistant professor and associate director of the real estate program Professor Pagliari has published widely in the area of institutional real estate investments. His research interests include applications of portfolio management theory, hedonic regression, the “fundamental” return-generating process and the use of leverage and option pricing. 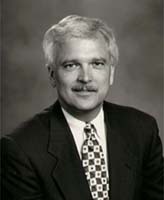 He has been a real estate practitioner for more than 20 years. He earned his PhD in finance from the University of Illinois-Urbana. Hayagreeva Rao, Richard L. Thomas Distinguished Professor of Leadership and Organizational Change Professor Rao has published widely in the fields of management and sociology. He studies and teaches the subprocesses of organizational change. He has consulted with and conducted workshops for executives in the United States, France and India, including organizations such as IBM, Lend-Lease, Group Suez and the American Cancer Society. He earned a PhD in organizational behavior from Case Western Reserve University. 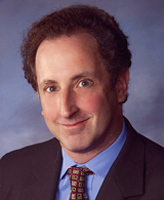 Lawrence S. Rothenberg, Max McGraw Professor of Management and the Environment, Co-director of the Ford Motor Co. Center for Global Citizenship Professor Rothenberg’s research areas include American politics and policy, environmental policy, political economy and legislation. He teaches a course on environmental management. He earned an MA and PhD in political science from Stanford University. 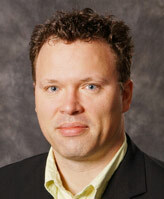 He has been on the faculty of the University of Rochester and the California Institute of Technology. Robert J. Schieffer, clinical associate professor of marketing Prior to joining Kellogg, Professor Schieffer spent 30 years in industry, leading world-class marketing research organizations in global corporations. At Kellogg, he teaches research methods in marketing, specializing in market segmentation, product optimization, global marketing research, and customer satisfaction and loyalty measurement. He received his MBA from the University of Wisconsin. 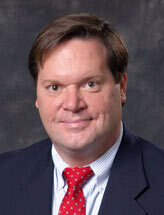 He is president of Schieffer and Associates, a marketing consulting and development firm. 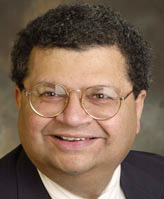 Shyam V. Sunder, Donald P. Jacobs Scholar in Accounting Information and Management Professor Sunder’s research interests include financial reporting and valuation. His current work focuses on incentives for voluntary disclosure, disclosure regulation and role of analysts as information intermediaries. 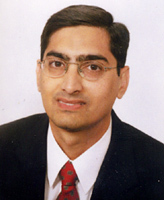 Prior to joining academics, he worked in corporate finance at the Indian subsidiary of Unilever PLC. He received his PhD in accounting from New York University. Annette Vissing-Jorgensen, Donald P. Jacobs Scholar in Finance Professor Vissing-Jorgensen studies household consumption and portfolio choice, stock market participation, returns to entrepreneurial investment, private equity and regulation of financial markets, and teaches finance at Kellogg. She earned an MS in economics from Warwick University, England, and a PhD in economics from the Massachusetts Institute of Technology.